1. Dry, Itchy Feet- Believe it or not, both of these complaints will often root from the same problem! Warm, dark, humid environments create a delightful home for fungus! Dry feet are a sign of sweaty feet and sweaty feet are a precursor to fungal feet. This can also cause nail fungus. 2. 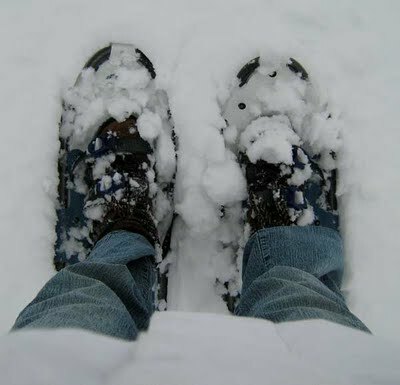 Wet, Cold feet- With all the snow and slush in the winter it’s difficult to NOT get any in your shoes. Children leaving wet boots in the hall and walking around in socks, just leads to problems. Keep your feet DRY and safe with the Aetrex Copper Socks and never walk around barefoot, even in your home. Always wear some sort of house shoe/slipper to protect from stubbing toes or walking on sharp objects. 3. Heel Pain- You’re shopping, sledding, skiing, and all the while your feet are taking a beating. Increased activity, weight changes, improper shoes can all lead to serious, unmanageable foot pain. Be sure to wear great supportive shoes all through this activity packed season. Orthotics are highly recommended for winter activities and sports. 4. Ankle Sprains- It’s icy and slippery out and you have so much to do…FAST. Decorating, shopping, skating, sightseeing…all this activity in such a short amount of time can significantly increase your chances for sprained ankles. Again, be sure you’re wearing the correct shoes for your activity, and slow it down. How Can You Prevent Common Foot Problems? 1. Shoes- check with a podiatrist to be sure you’re wearing the correct shoe size and support. 2. Socks- fungus thrives in moist, dark areas…like inside your boots, get proper absorbent socks. 3. Safety- Be sure to salt icy areas, slow down- rushing increases your risk for injury.